This new commercial by Singtel for the Iphone 8 features my new Singapore Heritage Tile Art Collection in the background! Thanks to the Peranakan Tile Gallery for inviting me to exhibit this series of hand-made block prints on canvas there last year. Learn more about this collection. 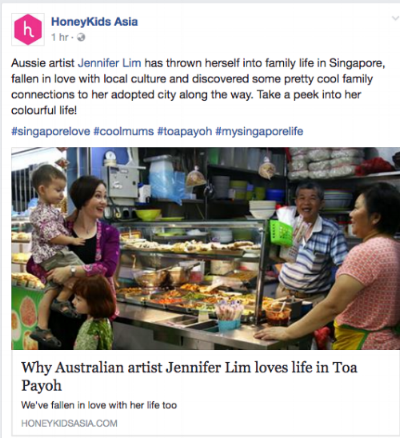 Thanks to Honeykids Asia and illustrator & writer Ilona Tar for this lovely feature on my 'hood, artwork and workshops in the corner of Singapore! 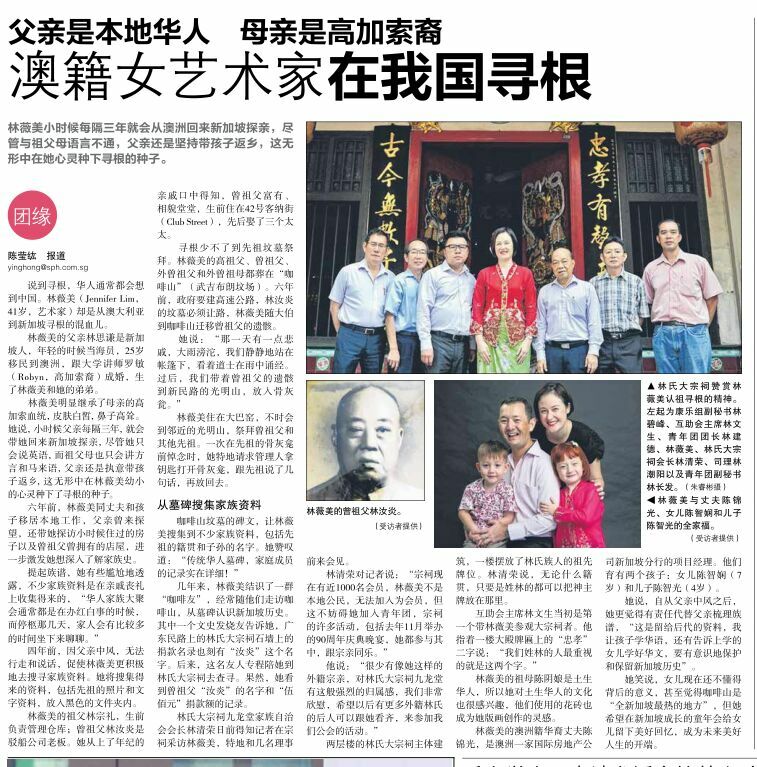 Wonderful to connect to Japanese audiences in this feature in JTB's online travel portal on Peranakan culture in Singapore. Lovely to have my Peranakan printmaking workshops to be mentioned in Singapore Airlines Travel Guide Silverkris! My Peranakan grandmother might have been surprised, and perhaps keen to join! Thanks to Tiger Airways for featuring me in their inflight magazine Tiger Tales for the September/October 2016 issue. Also thanks to Denise Li from Material World for interviewing me! You can also read the article in their online magazine (takes a minute or two to load- page 77). 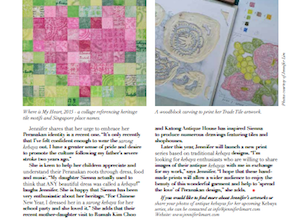 It's humbling to have my Where is My Heart and Tile Trade: Wealth & Luck featured in The Peranakan's issue 1 of 2016. I talk with Nyonya Dawn Marie Lee about my journey of discovering my roots in Singapore and beyond. Read the article. I was excited to be invited to the recent Singapore launch of Houzz, an online portal for home renovation and design. As a trained interior technician and building designer, I love working with partners in this industry. Priya Naik is the guru behind Interior Design Journey and Parham Mansor Safaiam of Ethnicraft Online carries gorgeous interior items! What a ball we had that night! With the gorgeous and talented Priya Naik of Interior Design Journey! It's great to support The Blend Within - an online creative portal aimed at promoting awareness of Eurasian identity. Thank you for featuring me. Read the interview.